ellehermansen: Ellehermansen.com gets an original art makeover by Meowza! 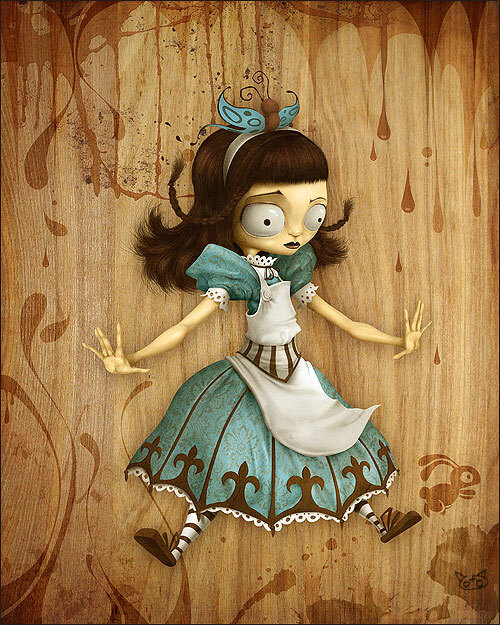 Ellehermansen.com gets an original art makeover by Meowza! 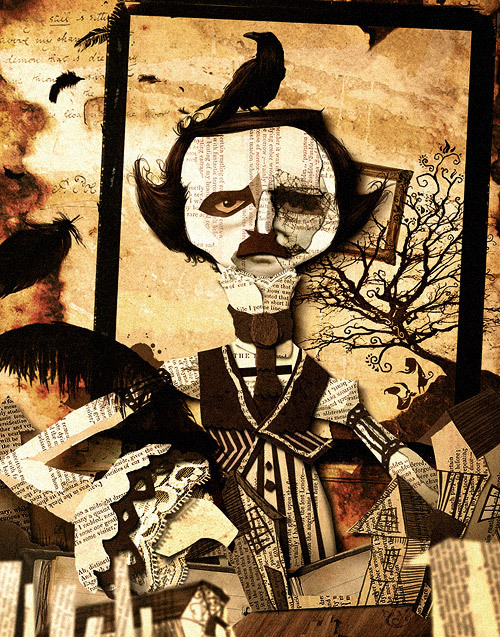 Amazing work of my favourite Muse, Edgar Allan Poe called "Nevermore"
This transition has been a long time coming! Last year (already) I asked Meowza who works at Tiny Speck with my brother, Endoplasmic, to help give my blog a little makeover. I was so taken with his quality when my brother sent over this amazing piece called "rabbit fetus" that he made and I HAD to contact him with some ideas I had for ellehermansen.com. "I want little bunnies, tea, oh - I love deers and gluten-free bread! Can I also have my white headphones in there and me playing my guitar? Like a picnic setting, you know?" I felt bad for my outlandish demands, and had zero idea as to how he would translate my jibber-jabber. But working with the professional talent that he is, I could not believe how fast - and amazing - he made my thoughts into something so much better than I could have dreamed them to be! I am so grateful to have such a wonderful, insanely creative, super talent work on my site! 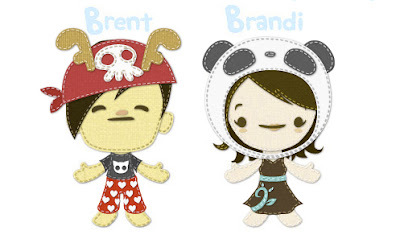 You can also see Meowza's (Brent) work along with his equally talented wife (Brandi) on Kukubee.com, where their wonderful imaginations soar together in creating super cute little characters. on their page, and you can too! So, here is to many more blog posts, and fun coming your way! Thanks to everyone who keeps reading, and to my new readers - welcome!